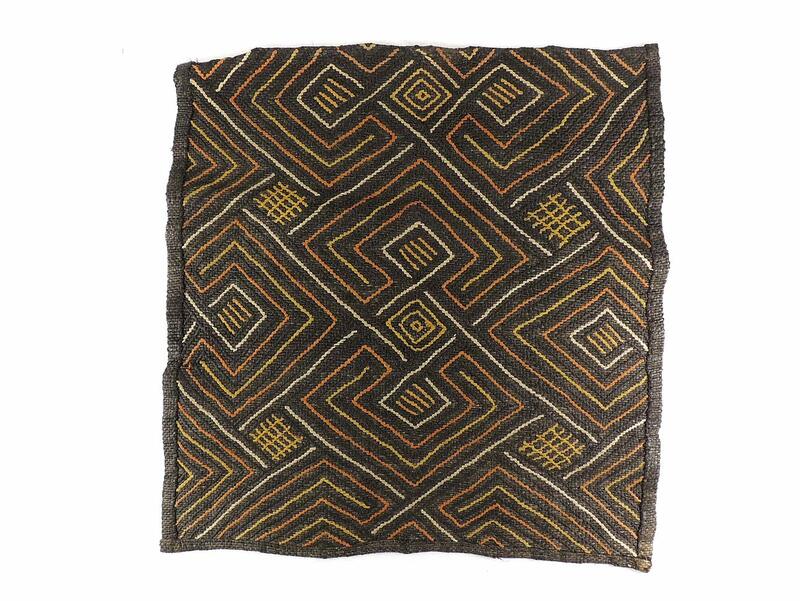 "The most commonly known of the Kuba textiles are the cut-pile Shoowa or Kasai Velvets, named after the river along which the BaKuba live. Improvisation and irregularity characterize the Kasai Velvets. This is because the weaver works without a plan or preliminary sketching, though the model can occasionally be displayed on the cloth in advance using black thread. Often the design is built up from memory, repeating the most common designs and color combinations found in the region. The message conveyed is up to the artist, who is the only one who can explain what he or she intended to represent." "Originally Kasai Velvets were used as currency, and were valuable products for trade and exchange. They could be included in the tribute villagers paid annually to the King, in the dowries of matrimonial exchanges, and in funeral gifts and offerings to the dead. They also served to embellish the royal court, cover the royal thrones, and decorate the King’s palace wall. 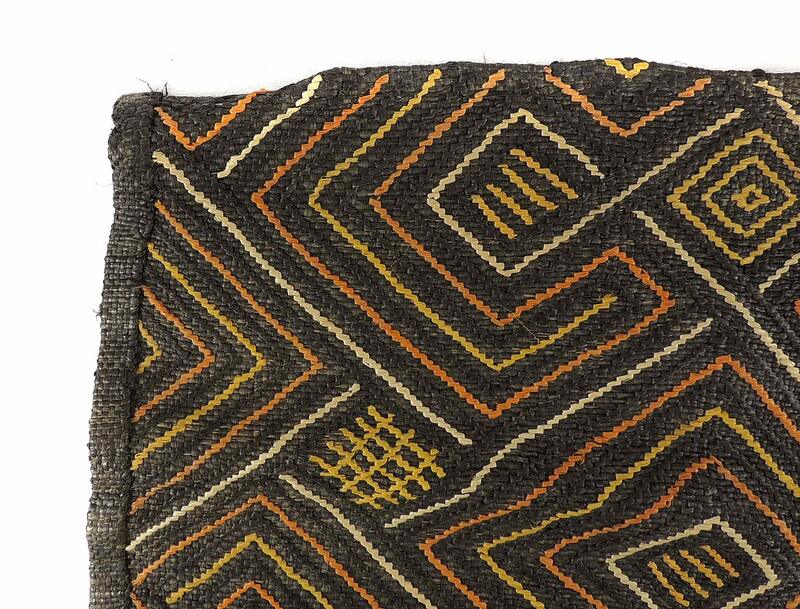 Colonial agents and missionaries arriving in the Kuba Kingdom in the nineteenth century were fascinated by the Kasai Velvets, and encouraged women to produce more of them to adorn religious vestments for Catholic missionaries and decorate the interiors of European houses." 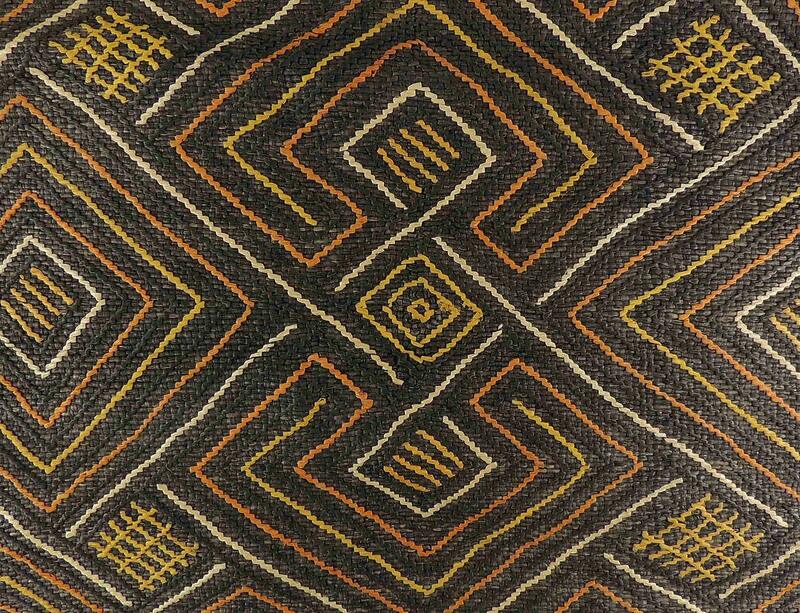 See Elizabeth S. Bennett and Niangi Batulukisi Ph.D., Kuba Textiles & Design, AfricaDirect Inc., 2009, 41 pages. 28 full color photographs, paperback.